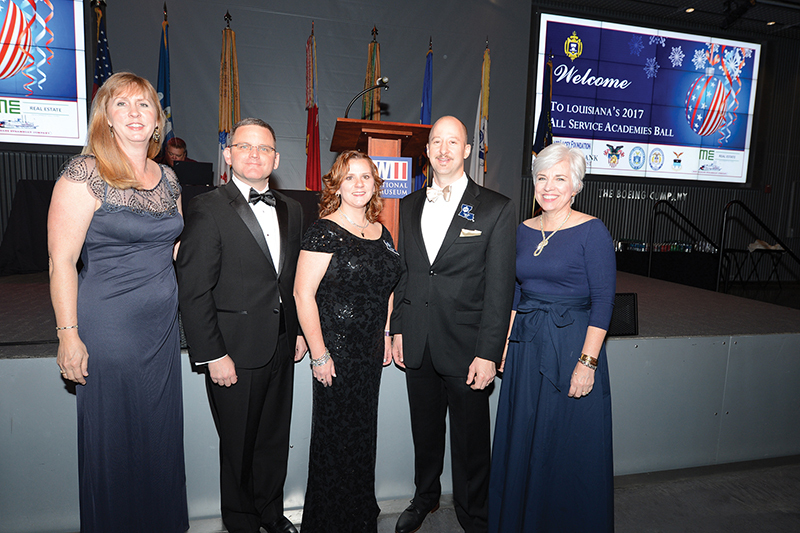 Sarah Harding, Ed Hardin, Maria Daigle, Corey Wax and Jennifer Suare attend “A Patriotic Affair for Tomorrow’s Military Leaders, the 2017 All Service Academies Ball” in December. The event was held in the National World War II Museum as an evening to honor the men and women from across Louisiana who will serve as future officers in the armed forces. The current Louisiana Appointees of U.S. Service Academies come together for an annual military ball, “A Patriotic Affair for Tomorrow’s Military Leaders” at the National World War II Museum. Retired USMC Colonel Walt Green spoke at the event, and guests were treated to traditional military rituals, such as the Parading of the Beef. New Orleans Artists Against Hunger and Homelessness President Pierre Hilzim, President Emeritus Sr. Jane F. Remson O. Carm., Marcia Ball and Ed White of White Oak Productions at NOAAHH’s “Legacy of Caring” concert in January. 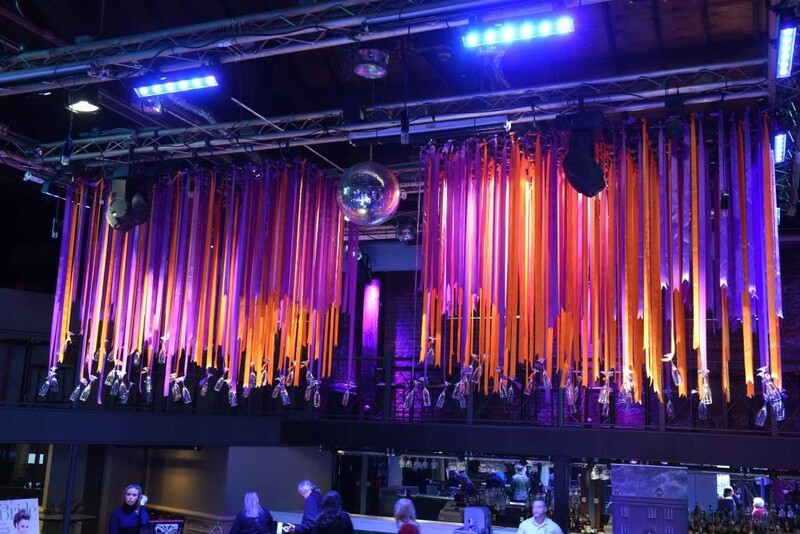 The fundraiser was held on what would have been NOAAHH’s co-founder, Allen Toussaint’s 80th birthday and featured live music and auction. Bottom Row) David Lewis Evans, Dorothy Lewis and Malcolm O. Ben. (Top Row) Linda Lewis Washington, Kingsley House CEO Keith Liederman and Taylor A. Ben celebrate Lewis and Butler’s 102nd birthdays at the Kingsley House. The birthday ladies were given gifts from Kendra Scott and Urban Earth Studios, as well as homemade cards and a birthday song from the Kingsley House preschoolers. Volunteers of America society and board member Chuck Viator Sr., and Ben Bourdreaux at 26th annual “GolfStar Classic.” The fundraiser benefits the VOA’s Adoption and Maternity Program, which for the past 76 years has worked to unite families. Over 130 golfers participated in the March event, and families with children adopted through VOA joined in during the festivities. Renee LeBoeuf, Danielle Marshall and David Bienvenu attend the Louisiana Center for Children’s Rights’ annual event, “Celebration for Children’s Rights.” The fundraiser benefits LCCR and the work it does to help vulnerable children in the juvenile justice system. John Guenard and LCCR Board Chair Marsha Levick at “Celebration for Children’s Rights,” which was hosted in March at The Building on Oretha Castle Boulevard, which is considered the “birthplace” of New Orleans’ juvenile justice reform movement. The event featured food from chef Marlon Alexander of Mangé Catering and drinks from NOLA Brewing and NOLA Distilling. Tina Totorico and Albion Sumrell of Breakthrough New Orleans, and Kara van de Carr and Susanne Dietzel of the Eden House, accept donations from Melvin Rodrigue on behalf of the Galatoire Foundation. The Galatoire Foundation raised $100,000 for the two community partners through their annual Christmas and Mardi Gras table auctions.